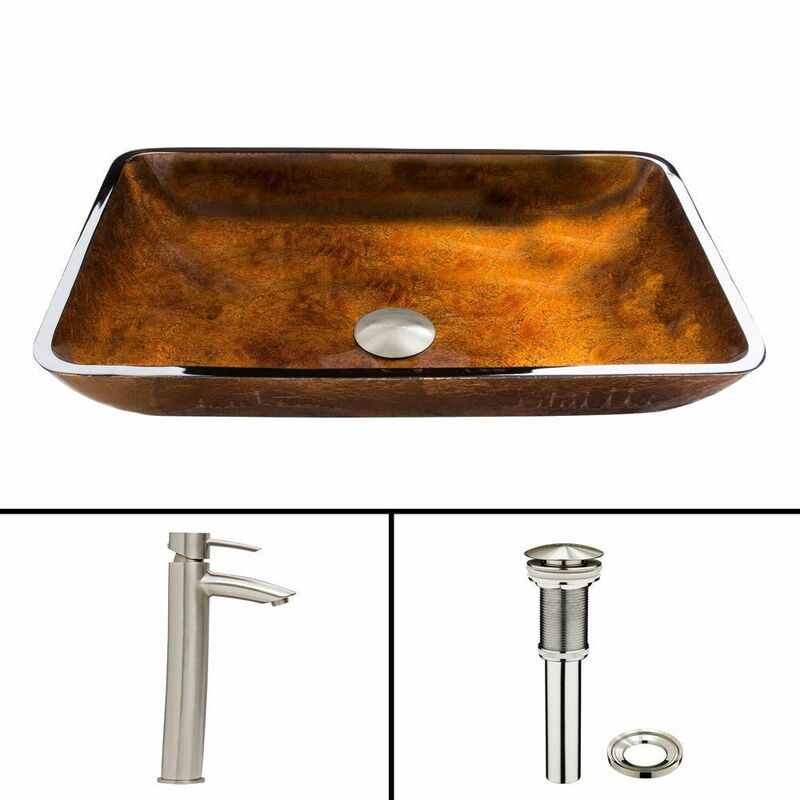 Glass Vessel Sink in Rectangular Rusin with Shadow Faucet in Brushed Nickel is rated 4.5 out of 5 by 2. Rated 4 out of 5 by BSch from Looks Nice... But I have not yet gotten it installed. All part appear to be pretty high quality, especially for the price.